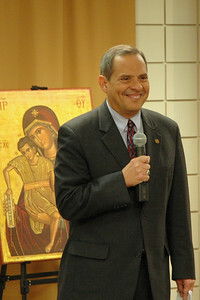 Vice president Carlos Pena thanks those participating -- both the live audience as well as online -- and introduces Presiding Bishop Mark S. Hanson, the host of the December 6, 2009 Town Hall Forum. 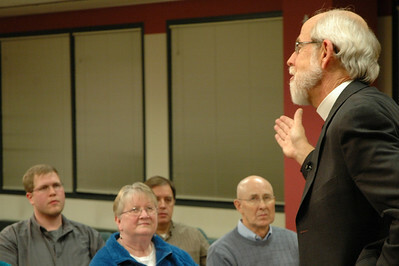 An ELCA pastor asks the first question of Bishop Hanson. 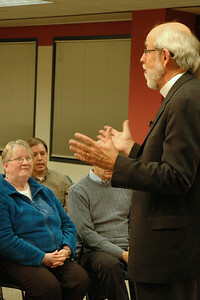 Presiding Bishop Mark S. Hanson responds to the question. 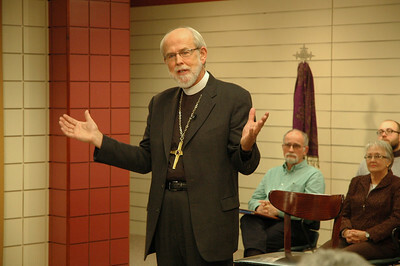 Bishop Hanson responds to the question. 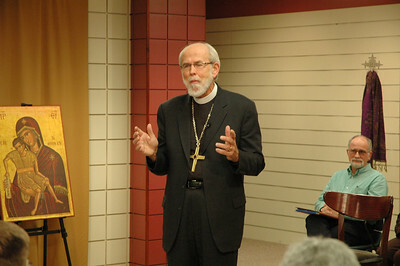 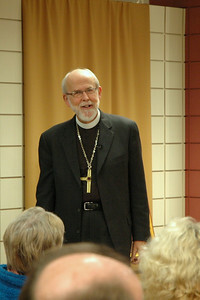 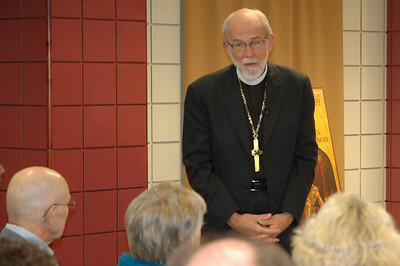 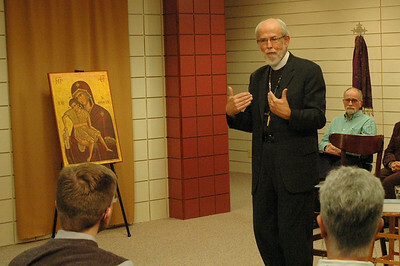 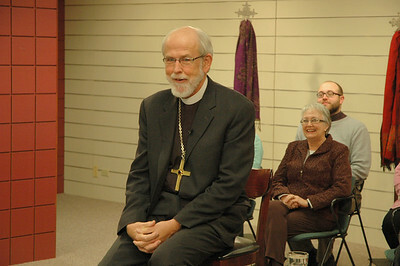 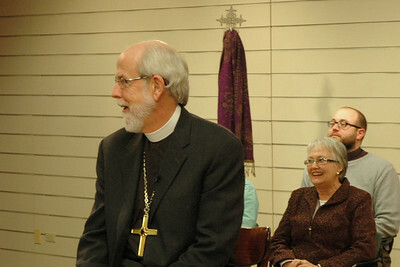 Bishop Hanson listens to the exchange. 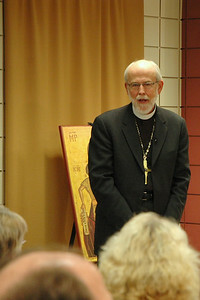 Bishop Hanson elaborates on a point. 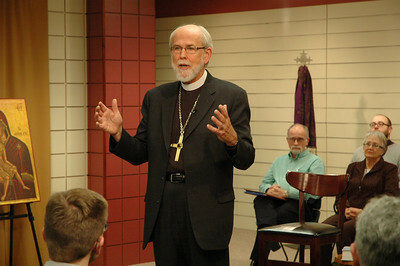 Bishop Hanson expands his answer. 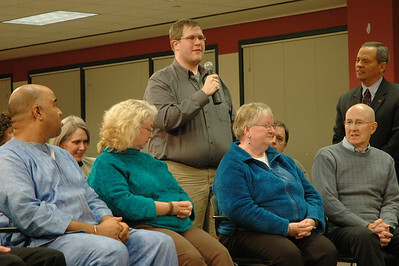 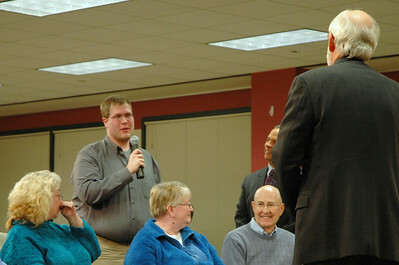 An ELCA member asks Bishop Hanson a question. 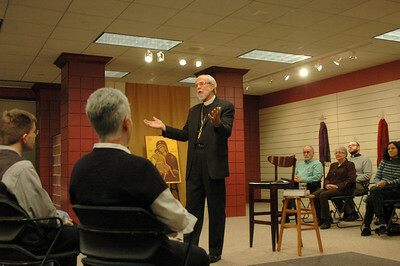 Presiding Bishop Mark S. Hanson responding to a question. 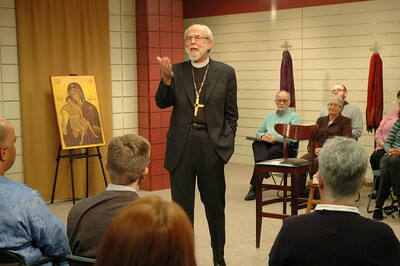 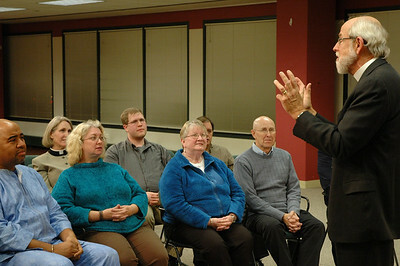 Bishop Hanson elaborates a point. 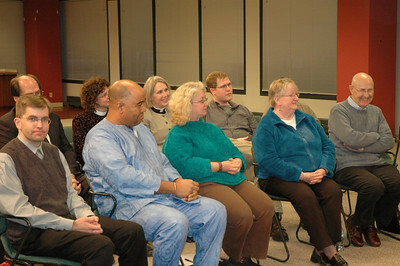 ELCA members participating in the Town Hall Forum. 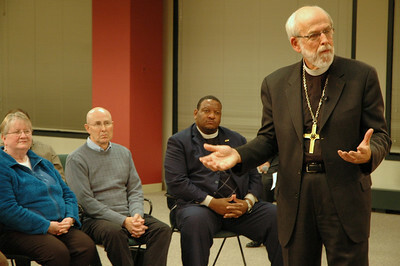 ELCA members listen to Bishop Hanson's response as vice president Carlos Pena looks on. 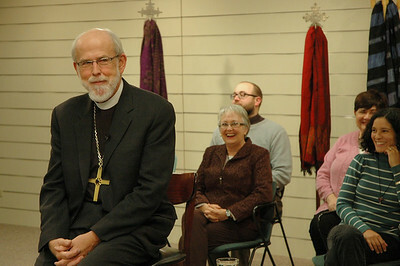 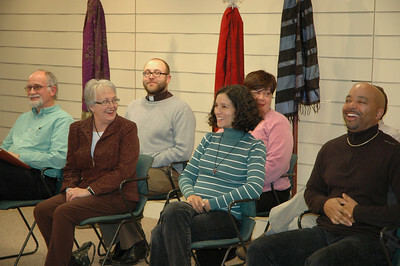 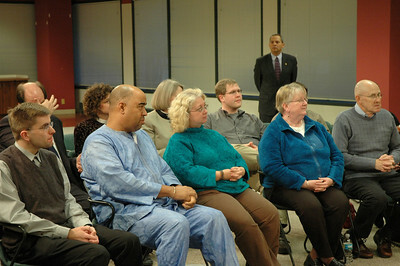 ELCA members were invited to participate as part of the live audience. 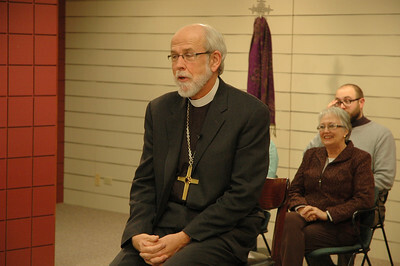 Presiding Bishop Mark S. Hanson thoughtfully responds to the question. 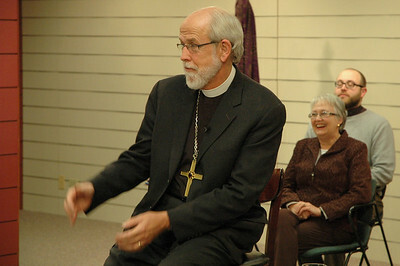 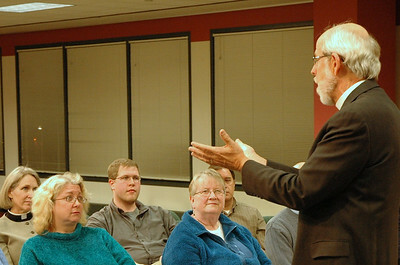 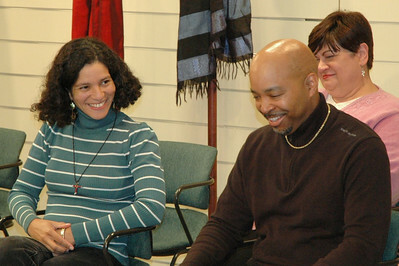 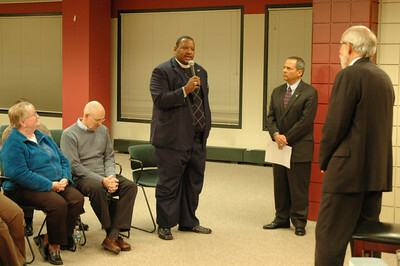 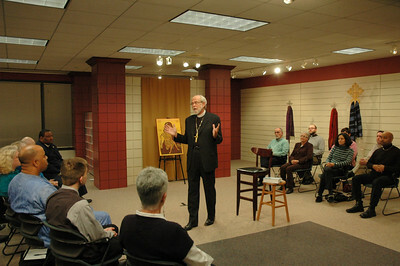 Presiding Bishop Mark S. Hanson listens as a participant reponds.